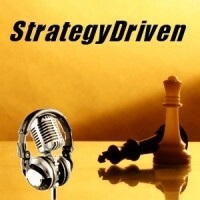 StrategyDriven Podcast Special Edition 24 – An Interview with Jim Champy, author of INSPIRE! In addition to the incredible insights Jim shares in Inspire! and this special edition podcast are the additional resources accessible from his website at www.JimChampy.com. Jim’s book, Inspire! , published by FT Press can be purchased by clicking here . Jim Champy, author of Inspire! , is Chairman of Consulting at Perot Systems. He is recognized throughout the world for his work on leadership and management issues and on organizational change and business reengineering. Jim’s first book, Reengineering the Corporation: A Manifesto for Business Revolution, sold more than 3 million copies and spent more than a year on The New York Times best seller list. He also authored the best seller, Reengineering Management: The Mandate for New Leadership, which was recognized by Business Week as one of the top ten best business books of 1995. His columns and articles appear in such magazines a Forbes, ComputerWorld, Sales and Marketing Management, Leader to Leader, and Baseline. To read Jim’s full biography, click here. https://www.strategydriven.com/wp-content/uploads/SDELogo5-300x70-300x70.png 0 0 StrategyDriven https://www.strategydriven.com/wp-content/uploads/SDELogo5-300x70-300x70.png StrategyDriven2009-10-15 06:05:382015-10-07 23:19:13StrategyDriven Podcast Special Edition 24 - An Interview with Jim Champy, author of INSPIRE!